The High-SMAS Facelift is the advanced version of the SMAS Facelift producing the finest face lifting result. 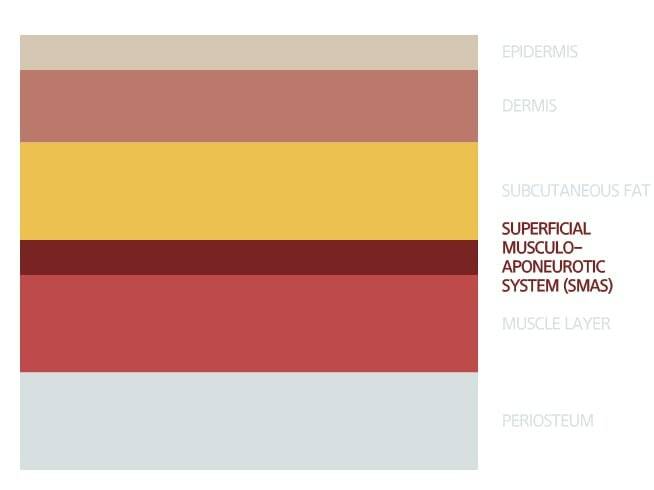 Aged face results from not only the skin but also subcutaneous fat layer and special layer called SMAS (Superficial Musculoaponeurotic System), which are located between the skin and muscle layer. The traditional facelift only lifts the superficial skin flap which would not have a long-lasting effect and would not give a lifting effect under the zygoma. Moreover, as time goes by, the traditional simple facelift causes a secondary sagging skin due to the weak facelift surgery fixation. This creates a separation in the layer between the superficial skin and SMAS layer which eventually leaves a large scar on the surgery incision line. The incision should be sutured the deeper layer of skin layer to prevent the scarring. The MACS-Lift (Minimal Access Cranial Suspension) was a recently introduced facelift method, a procedure of peeling the skin and tightening the SMAS layer with a thick, medical thread. 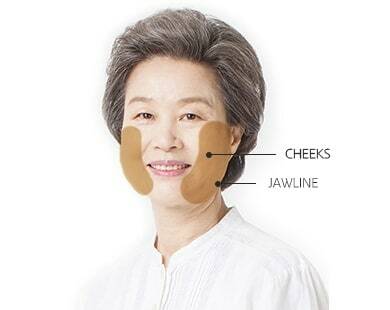 This surgical method may cause unnatural facial expressions, and may not be effective in improving the sagging of the frontal face and jawline; the result is not long lasting (lasts only several months) without peeling the SMAS layer. 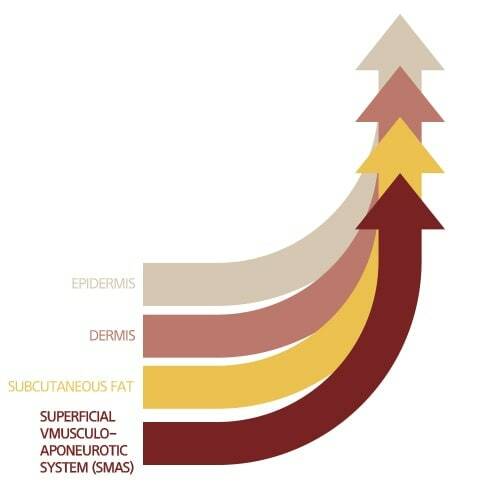 As mentioned above, the SMAS layer must be peeled with skin and subcutaneous tissues for an effective facelift. However, the general technique of SMAS lift only covers the chin and the corners of the mouth – one-third of the face. The remaining parts, such as the mid-face areas including the laugh lines, cheeks, and zygoma, are not lifted entirely, causing an imbalance in facial proportion. The High-SMAS facelift was developed to improve the unsatisfying results of the two procedures mentioned above. The skin and SMAS layer are safely peeled up to the upper zygoma for full face lifting by using this method. The High-SMAS facelift enables to peel sagged tissues (skin, fat tissues, SMAS layer) separately from facial muscles and put them back to the original position. 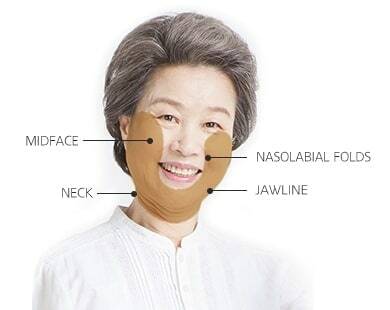 It is also effective in removing the nasolabial folds, improving droopiness of the mid-face areas, and sagging jawline and jowls without having an unnatural look and tight corners of the mouth. If micro-fat grafting is additionally combined with the high-SMAS lift to fill up Indian wrinkles, nasolabial folds, corners of the mouth, eyes and around the chin area, the effect of high-SMAS lift will be much more significant and long-lasting. By going through the high-SMAS lift and micro-fat graft, one can ultimately achieve a natural and youthful look. The result will be also semi-permanent. Only doctors with vast experience and knowledge should perform the procedure; otherwise, it may cause damages on the facial nerves or result in an unnatural look. We are proud to say that VIP International Plastic Surgery has over 24 years of experiences in the field of the High-SMAS facelift and other surgeries. Our patients recognize the highest quality surgery and services; we have been performing our signature surgeries such as anti-aging and rhinoplasty nearly daily and successfully increasing the recognition in the worldwide. Aging is an inevitable process which everyone experiences at the certain moment of the life. The advanced aging process loosens the skin layer to the deepest SMAS layer producing a skin laxity in our face and neck. Fine wrinkles and slightly loosened skin can be treated, filler, or thread lift, but these treatments do not treat the fundamental sagging part in the deepest layer of the skin. The High-SMAS Facelift is a revolutionary facelift in the field of Anti-Aging as it produces the most natural result and the maximum lasting result compared to any other facelifts. The High-SMAS Facelift pulls the deepest layer of skin in the zygoma, cheeks, mid-face, and jawline that other facelifts are not capable of. This surgery does not produce a “plastic” face as the loose skin will be pulled off in the deepest skin layer and therefore merely shows the scarring from the incision line. STEP 01Create a small incision starting from the hairline, inner ear, earlobes, and back of the ear. STEP 02Using the incision line, delaminate the SMAS layer under the subcutaneous tissues and pull up in the direction where the natural result would produce. STEP 01Create a small incision inside the hairline. STEP 02Using the incision line, delaminate the SMAS layer under the subcutaneous tissues and pull the temple areas up. STEP 03Consider the patient’s condition in severity and complexity of the aging process and excise the excess skin and fats. Fix the suturing line at inside the hairline where it is not visible. 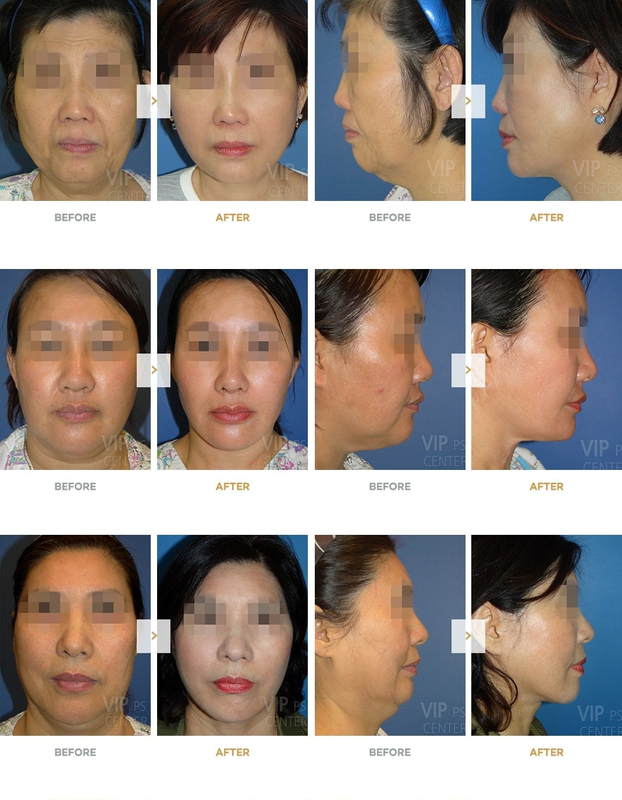 High-SMAS FaceliftThe High-SMAS Facelift is highly effective for a full face specifically the midface, nasolabial folds (laugh lines), cheeks, jawline, and neck to treat skin laxity and wrinkles. Temple LiftThe Temple Lift focuses on the temple areas – eyes, eyebrows, and nasolabial folds by removing excess fats and skin and lifting. Minimum Incision FaceliftThe minimum incision facelift improves lifting in the areas near the cheeks and jawline rather than the High-SMAS Facelift which is a full facelift. Why Is the High-SMAS Facelift Better than Other Facelifts? 01) Semi-permanent Result The surgery delaminates the SAMS layer and thoroughly exicises the surplus of fat tissues and unnecessary skin. The fixation is tightly made giving a semi-permanent result. 02) Keeps Your Natural Facial Expressions The sagged soft tissues and SMAS layer are properly peeled from the facial muscles and put back to the original position to be lifted. 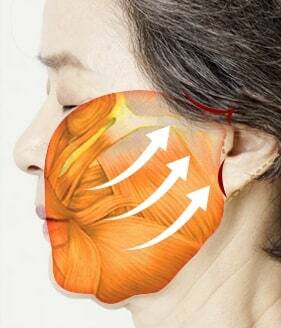 This method will not cause deformity in the facial muscles. Compared to the high-SMAS lift, the MACS lift peels only the skin and sutures the SMAS layer with thread; it does not separate the facial muscles and tightens the SMAS layer. As a result, facial expressions may look unnatural. 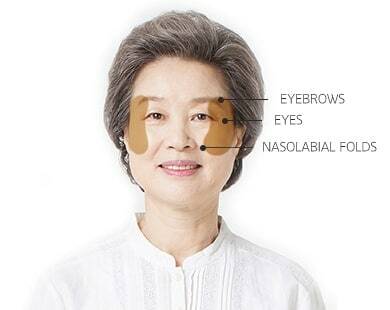 03) Natural And Smooth Lifting Effect The High-SMAS Facelift evenly lifts the whole face which are upper zygoma, temple, nasolabial folds, cheeks, jawline, and neck giving a smooth finish line. 04) Minimum Scarring (Essentially Invisible) The conventional facelift leaves large scars on the front side of the ears, but VIP’s high-SMAS lift improved this issue. 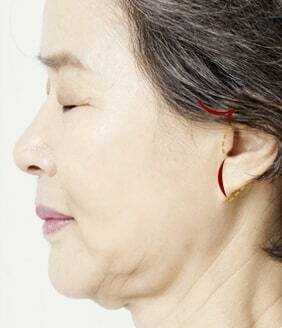 An Incision takes place near the ear cartilage line to make it inconspicuous from the front. By using the hair-follicle spearing technique, hair will grow on the incision line. Generally, the incisions will be made on the back side of the ears and hairline. During the first several months of the recovery (at least 6 months), the redness may remain. However, this will be almost invisible after 6 months to 12 months. 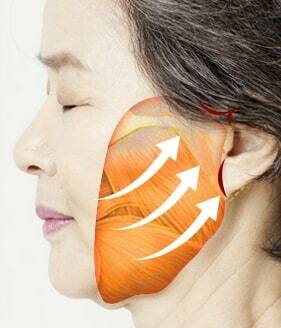 05) No Change in Ear Shapes The loose skin tissues and SMAS layer will be separated from the facial expression muscles and fixed into the deep temporal fascia to attain rejuvenation. The tissues around the ear areas will be separated from the suture and the fixation point to minimize ear deformation. The incision will be made with the avoidance of excessive tension on the skin for less scarring. How to Continue Maintaining High-SMAS Facelift Result? 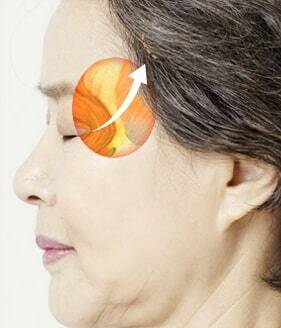 To maintain the results of the facelift procedure, the additional Volume Fat Grafting is recommended. 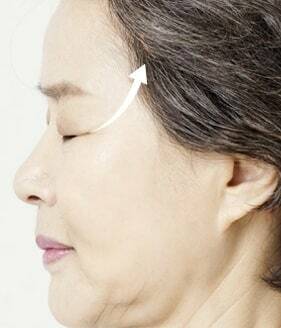 Although patients have different methods to manage their facelift results, consecutive facial fat grafting from 1 to 3 years can be done to maintain the long-lasting results of the facelift procedure. Some minor treatments such as laser, skin treatments, and dermal injections can further help maintain the surgery result.